1.1.1 What are The Symptoms of GERD? 1.1.2 How is GERD diagnosed? 1.1.3 What are the treatment options for GERD? 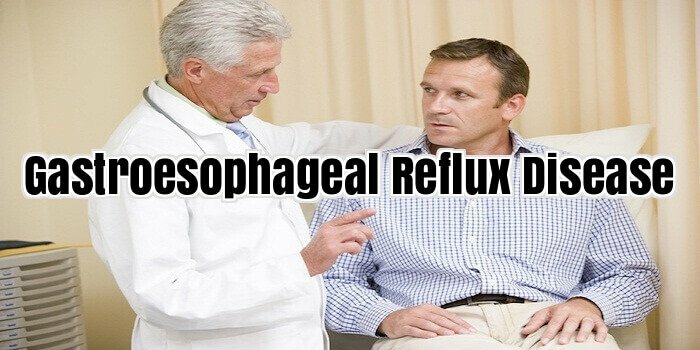 Acid reflux, also known as GERD (Gastroesophageal Reflux Disease) is a chronic, often life-long condition where liquids and acids from the stomach regurgitate into the esophagus. These liquids can inflame the esophageal lining and in a minority of patients causes damage. It’s estimated that 5 to 7 percent of the global population, including infants & children suffer from GERD and it is often misdiagnosed because the symptoms are either too mild to warrant a doctor’s visit or downplayed and misunderstood. Usually GERD is caused by a faulty sphincter. The esophageal sphincter is a little muscular ring at the end of the esophagus and is designed to prevent stomach contents from “backing up”. Sometimes, this sphincter becomes weak and stops functioning properly, allowing stomach acids to push up through the opening into the esophagus. In other cases, GERD is caused by a hiatus hernia, where the stomach pokes through the diaphragm, preventing the esophagus from closing. There are also certain health conditions where a higher incidence of GERD occurs, such as in those with asthma and diabetes. The symptoms vary from person to person, may be mild or severe and may come occasionally or daily. A painful burning in the abdomen and/or chest. Sometimes this pain will radiate through your back. Excessive belching and persistent heartburn. Feeling a sudden surge (spitting up) of acids spill into the back of your throat and mouth. It usually tastes very sour and burns. People with severe acid reflux can experience breathing problems and hoarseness due to damage to the respiratory tract and larynx. Consistently waking up with pain in the abdomen and/or chest. This can feel like a single painful cramp in the pit of your stomach and usually goes away within an hour or so. Symptoms may be triggered after eating a large meal, fatty foods, and alcohol. Smoking can cause symptoms as well. Bending over and feeling a sensation of sour fluids spilling into your throat. Over time and without treatment, GERD can cause scar tissue to form, making it difficult to swallow. At this stage, seeking medical intervention is needed. Most doctors will be able to diagnose the condition based on the symptoms you report, but if there is any doubt, a gastro copy can provide a better idea of what is causing your symptoms. Your doctor may want to rule out conditions with similar symptoms – such as peptic ulcers, angina, constipation, irritable bowel syndrome, gallstones, and pancreatic disease. The first step in treating GERD is to adjust your habits. Stop smoking, avoid meals that trigger symptoms, and limit coffee and alcohol intake. If you have problems with GERD symptoms in the morning because of lying flat all night, try elevating your upper body 8 inches so that you are sleeping on an angle, allowing gravity to minimize the amount of stomach acids settling in your esophagus while you sleep. Even when taking good care of yourself, you might need to take extra measures to keep GERD under control. Most non-prescription antacids work well in controlling symptoms, however if they simply aren’t working, then a trip to the doctor is in order. As with everything, what works for one person may not work for you. It is important to discuss your condition with your doctor and evaluate the side effects before diagnosing yourself and taking any medication or treatment, whether prescribed or over the counter. Gastroesophageal reflux disease (GERD) is a very common disease affecting millions of people across the globe. GERD is caused when the contents of the stomach (and the digestive juices that are present in the stomach), leak back or get refluxed into the esophagus, causing heartburn. GERD treatment is possible, although the symptoms may recur frequently even due to minor instigation factors. The methods used for GERD treatment are usually on a trial and error basis. However, the treatments generally all start the same. For example, you will need to lose any extra weight, try to control GERD through diet and possibly medications and the last course of treatment is usually surgery. Only eat soft foods for 2 days. This will allow your esophagus to heal from the scratches made from hard or crunchy foods and the stomach acid. Avoid spicy and acidic foods for 2 days. Typically, acidic and spicy foods have been shown to cause GERD. We recommend not eating these foods for the first two days to allow the esophagus and sphincter to heal. Lifestyle Changes should stop smoking and limit caffeine consumption during the first few days of your treatment. Both of these contribute to your reflux problem. Drink water after every meal. Drinking water will keep your sphincter clean and allow your stomach to have a good seal. With a good seal, no stomach acid will be refluxed. Antacids are the chief form of treatments for patients of GERD. They neutralize the acid in the stomach, thus leaving no acid to reflux. However, their effect is brief as they empty out of the stomach quickly and subsequently, acid accumulates once again. An antacid, if taken one hour before a meal and then again taken approximately two hours after it, is most effective in reducing reflux. Losing weight is very important in controlling GERD. Your doctor will likely suggest a well balanced GERD safe diet plan for you to follow. Incorporate a light to moderate exercise routine and you should be losing weight in no time. Shortly after losing weight you should begin to feel less symptoms of GERD. Chewing gum is also a great way to mitigate the effects of acid reflux. What many people don’t realize is that saliva is a natural anti-acid and chewing gum increases the amount of saliva that gets swallowed. This calms the stomach and neutralizes excess gastric acids. Most people tend to seek a pharmaceutical cure whenever they have a problem in this area. Although this may make it tolerable and you may be able to live without many of the symptoms, these pharmaceutical treatments are not actually getting rid of the source of the problem and it still is going on in the background. For that very reason, you would want to find a Gerd acid reflux cure that will actually get to the root of the problem and treat it from there. Instead of simply covering over the symptoms, you would be getting rid of the very source. There is a numbers of different Gerd acid reflux natural treatments that tend to work very well. For example, many of us experience heartburn regularly because of a problem with the hydration. As a matter of fact, chronic dehydration is at the root of many of the illnesses that we may experience. In order to overcome this problem, we simply need to increase our water intake to the extent where we are hydrated on a cellular level. The general formula for doing this is to drink half of your body weight every day in ounces of water. You should also take some sea salt with the water in order to keep it in your body long enough to do its work. Another very effective Gerd acid reflux treatment is to increase your intake of green, leafy vegetables. Many people do this by drinking a green smoothie on a daily basis, which is some form of lettuce or kale that is blended together with their favourite fruits. It is a delicious way to make sure that you are getting the greens that you need and they are going to be in a very digestible form. It will not take long before you recognize the benefits that you’re looking for. Another way to naturally treat Gerd acid reflux is to do so temporarily, in order to get rid of these symptoms. This is beneficial whenever you are having a flare up and you simply want it to stop. Take some apple cider vinegar on a spoon and drink it straight. You need to put the spoon far enough back in your mouth to bypass many of your taste buds. When you are able to do this, you will notice that the heartburn is disappearing very quickly. If you have had acid reflux for a long time or just want to stop the pain and you can afford it, GERD surgery just might be for you. However, any surgery GERD surgery is generally any doctor’s last resort. There are several different methods of taking care of acid reflux or preventing Barrett’s esophagus with GERD surgery. There have been studies that have shown that some patients who have GERD surgery may find the need to return to using anti reflux medications. Over one million GERD patients are unable to resolve their acid reflux health issues with medical treatment alone. Most of the time, these people can be helped to some degree with GERD surgery. Candidates for GERD surgery are those who have a chronic cough that cannot be helped with any medical assistance, those with an swollen esophagus (esophagitis), as well as children that are unable to keep or get up to a normal weight. GERD surgery is also for those who are completely helped by medications, but do not wish to continue to take the medication for a long time. There are several surgical procedures; one is called “Nissen Fundoplication”. In this GERD surgery, the fundus (body) of the stomach is wrapped around the LES (Lower Esophageal Sphincter) for two main purposes. This adds enough pressure on the LES to prevent acid reflux, while allowing food and liquids to pass through. It is also done to look for and repair any hiatal hernias. There are two types of this GERD surgery. One is open and the other is a closed laparoscopic surgery. This surgery has proven beneficial in aiding digestion and eliminating acid reflux in some patients while others may still need anti reflux medications and some may show new digestive symptoms. With the open fundoplication GERD surgery a patient will need to spend 6-10 days in the hospital for recovery. The laparoscopic GERD surgery is safe, even for babies and small children. This is because it is not an open (requiring a wide incision) and healing is faster with fewer complications than any open GERD surgery that might get infected or other problems that can occur with any extensive surgery. Not everyone is a good candidate for this GERD surgery. This GERD surgery is for those who are not pregnant, do not have a history of bleeding problems, no other medical problems such as asthma or other medical conditions, have not had abdominal surgery before, have most of their GERD symptoms while in bed lying down. This GERD surgery is also for those who do not have the GERD complications and whose hiatial hernias (if any) are small. GERD surgery is a serious step and you must consider all of the potential side effects and complications. GERD surgery is one way to prevent Barrett’s esophagus and live a more normal healthier life. Does acid reflux control you? Would you like to rid yourself of these symptoms forever? Do you want to find out as much as possible to better handle it? Continue reading to find out some great advice about the topic at hand. Consuming any type of food during a reflux spell can make it worse. Lots of people enjoy eating a large amount of food very quickly. Food can make your acid reflux problems worse. Many folks eat way too fast and have far too much food in each meal. You don’t want to eat this way knowing that it is going to lead to further problems. You should not eat past the point of feeling full. You should also make a conscious effort to eat more slowly. Chew food carefully and lay down your fork every couple bites. If you aren’t overweight, your GERD may go away. All the extra weight on your esophagus can cause the muscles at the base to loosen, allowing acid up into your esophagus. Losing weight prevents the sphincter from opening, thereby confining stomach acid to your stomach. Get your fluid intake between your meals instead of while you are eating. This can significantly help you manage hunger pains, because you are likely thirsty rather than hungry. Sometimes women develop a problem with acid reflux when they become pregnant. The growth of the baby crowds the stomach, which moves acid upwards towards the esophagus. When pregnant, it is a good idea to avoid trouble foods, and eat low fat foods to prevent problems. Drink some green tea to neutralize the acid in your stomach and soothe your esophagus. To help get a good night’s rest, place a wedge or some object under the mattress. This will prop up your head and allow the acid to stay in the right place. Keep a food journal if you suffer from acid reflux. All acid reflux sufferers have specific foods that trigger their acid reflux. Once you’ve identified your trigger foods, you can avoid them and start to feel better. Prop up your bed. There are several materials you can use to raise the bed up, including bricks or blocks of wood. Ideally, your head should be elevated six full inches higher than your feet. You can stop stomach acid from rising into your esophagus by elevating your chest and head during sleep. Slippery elm is a supplement which can help to thicken the mucous lining layer of the stomach. It does this by helping to protect your stomach against acidity. If you’re suffering from reflux, watch out for trigger foods. Some specific foods have been linked to reflux, such as fatty and fried foods, alcohol, caffeine, mint or min-flavoured items, citrus, tomatoes, spicy foods, garlic, onions, and carbonated drinks. Keep a food journal to find your triggers and avoid them. Stay calm. By eating meals when overly stressed out, you are more likely to experience acid reflux. As soon as you finish eating, perform relaxation exercises, such as meditation, yoga, or deep-breathing exercises. Do not lie down following a meal, but keep yourself upright. Keep track of the types of foods that seem to trigger acid reflux symptoms. Acid reflux sufferers have some trigger foods that may cause it. People who suffer from acid reflux can experience significant relief by chewing on cinnamon gum immediately after a meal. Chewing gum increases saliva production, which helps neutralize your stomach acid. You will also swallow more saliva and keep the acid down. The acid will then settle back down toward your stomach. Almost half of all Americans are searching for acid reflux cures but many don’t realize there are quite a few things you can do today to help ease your suffering. If you suffer from reflux then you might want to learn about these 14 things you can do to minimize your symptoms. Several simple cures can provide relief and natural solutions that have been passed down through the generations are still effective. Common sense tells us to watch what we eat and drink to stop the onset of heartburn but when that doesn’t work try some of these solutions. Heartburn is common among mankind but there are home remedies that can treat it effectively if properly use. Some home remedies such as cherubic coriander leaf juice water melon honey etc are all effective when it comes to treating heartburn. Acid reflux can be overwhelming at times. Once you have flair up its hard to concentrate on anything else. The good news is that acid reflux can be stopped before it happens. An ounce of prevention is worth a gallon of cure (or a pack of antacids!). These steps will help you curb the acid reflux at the foundation. Instead of battling the symptoms you will be working at the root of the problem. Learn more about the different methods and foods you can use to help fight off heartburn. These could just be the best remedies for heartburn that you have ever found. Could it actually be the opposite? Also known as GERD gastro esopageal reflux disease can be the most excoriating thirty minutes of your life if you can get it to go away in that amount if time. It can literally feel like you are having a heart attack and when it finally does subside it can leave your entire body feeling like it just was ran over by a truck. The gerd diet is suitable for people who are afflicted by gerd, the ailment that is caused by high acidity in the stomach. The gerd diet reduces the incidences of heartburn due to the high acidity. There are lots of causes of the disease but is chiefly caused by improper diet. Many people have previously experienced the heartburn hence the requirement to highlight the acid gerd and diet. The signs of this ailment begin to show early and therefore, are easily recognized. A few of the symptoms include vomiting in children, nausea and burning sensation. Different Recommended Gerd Diets Different people came up with their version from the ideal gerd diet to alleviate the symptoms related to the disease. A few of the diets that you can come across endorse many foods although evading others totally. The meals that are avoided are the ones that are said to be high-risk. This implies that any foods that modify the person adversely such as citrus fruits along with other highly acidic foods arguing that they’re prone to boost the acidity levels in the stomach. Another kind of gerd diet may focus on the sorts of foods that may be ingested without the need of fear of getting the heartburn. Examples of foods named in this gerd diet include a wide variety of vegetables and fruits, milk that has low fat content, cereals and whole meal grains. However, many of these diets do not give a list of foods to not be studied since they pose a higher risk at aggravating the the signs of acid gerd disease. Other people have debated on the suitability of the gerd diet that allows one to take coffee such as coffee in addition to smoking. It’s proved however the intake of caffeine along with other such stimulants only aggravates the signs of the acid gerd disease and really should therefore be avoided. The best gerd diet should permit the users to consume their favourite foods in space that do not make the acidity. One can find an appropriate gerd diet for their day-to-day life by talking to their physicians. It’s possible to also formulate their very own gerd diet by looking into making keen observations on the foods that affect them adversely in order to drive them in smaller proportions or avoid them altogether. Once this diet has been put in place, you should ensure that it’s followed consistently in order that it turns into a lifestyle. Despite the diet that one decides to make use of, the result is that one will have a more healthy life.